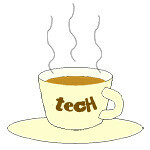 Food « Tech bytes for tea? Attention, Ramen lovers – Ramen Revolution reprises its large-scale outdoor ramen event at Resorts World Sentosa. The event is jointly organised by WATTENTION Singapore and SOZO. * This article first appeared in The Travel Memoir. 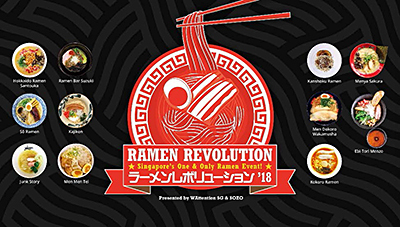 Highlights of Ramen Revolution 2018 include Kajiken offering a limited-run Okinawa Mazesoba and Men-Men Tei with their Jiro Style Aburi Chashu Ramen. Get ready to tuck into 10 limited-edition bowls from your favourite ramen restaurants. Each bowl of ramen goes for S$10 or more, and you can pay a little extra to top up with additional ingredients. 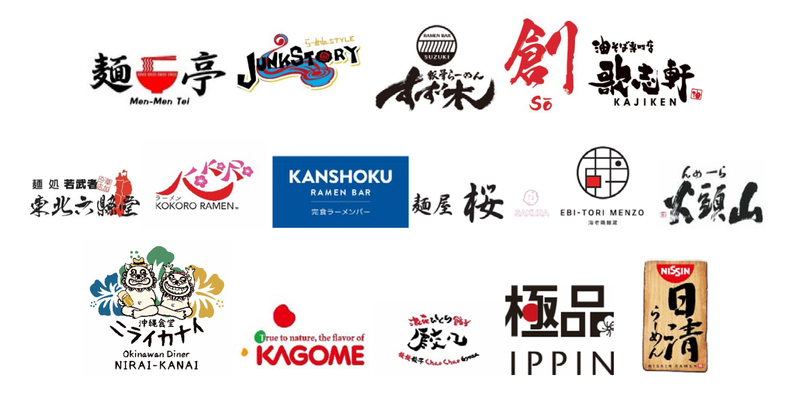 Participating brands will offer special dishes that are exclusive to Ramen Revolution 2018. They will also be offering some of their ramen dishes from their regular a la carte menus. Also, joining us all the way from Japan for the three-day event are Junk Story from Osaka and Men Dokoro Wakamusha from Saitama. 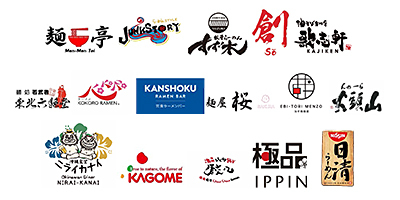 Participating brands at Ramen Revolution 2018. CE China kicked off its third installment this morning in an opening ceremony attended by Shenzhen Vice Mayor Chen Biao. 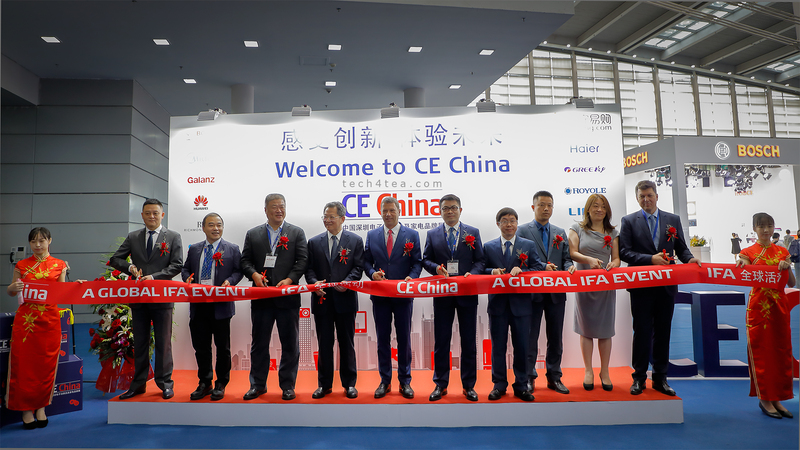 The first of three days for CE China 2018 saw the successful completion of the new IFA Retail University. Ribbon cutting at the opening ceremony of CE China 2018 at the Shenzhen Convention & Exhibition Center in China. IFA Retail University is a new format in CE China where international exhibitors at trade show presents their latest products and share their brands’ strategies and visions in short 20-minute “power briefings” in the IFA-GPC style. 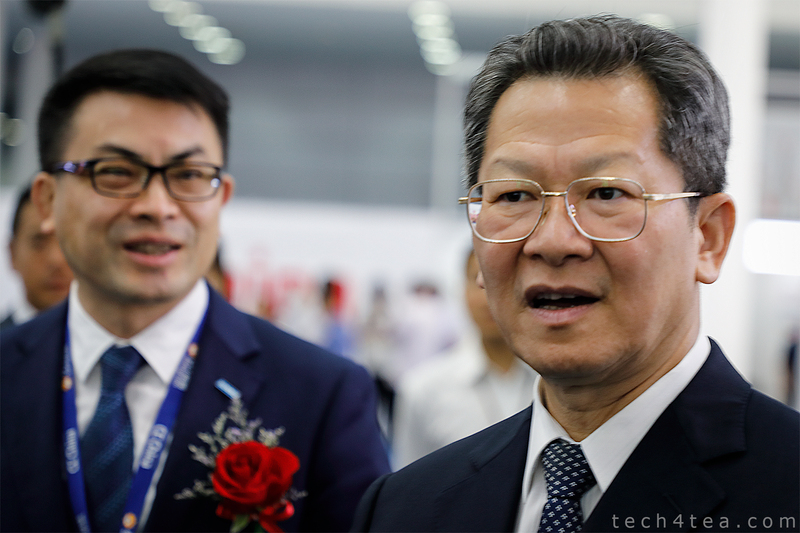 From right: Guest-of-Honour for the opening of CE China 2018, Chen Biao (Shenzhen Vice Mayor) with Dai Fengjun (EVP, South China, Suning.com Group). Industry analysts from GfK and IHS Markit also presented their findings on trends and forecasts for the region. 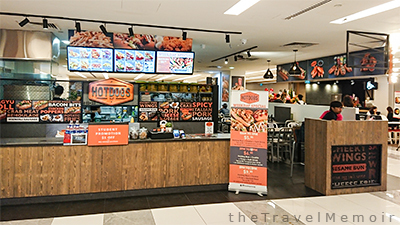 If you’re a hotdog lover in Singapore, here’s a restaurant where you can hang out and enjoy some delightful hotdogs with beer. * This article first appeared in The Travel Memoir and is reposted here with permission. 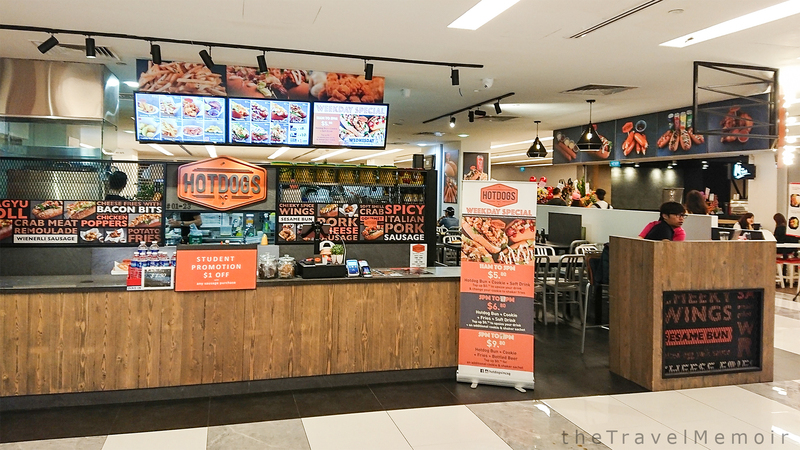 Hotdogs Inc is in PoMo Mall, where many adult students attend classes at schools such as Kaplan in the vicinity. 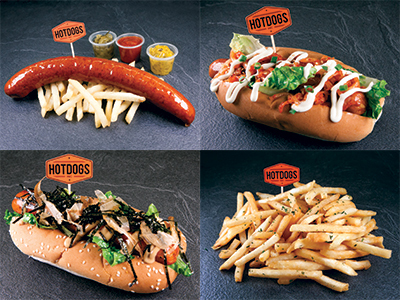 Hotdogs Inc doles out high-quality sausages paired with freshly made buns. Since its inception last year, mainstays such as Wagyu Beef Roll; Soft Shell Crab; and Pork Cheese Sausage have won the hearts of gourmands. I tried out the new menu dishes at Hotdogs Inc and was delighted with the variety of hotdogs on offer. My favourite was the Kurobuta Pork Roll which is made from the juicy, tender and high-end meat culled from Berkshire pigs, which boasts delectable marbling. You can have it with either Asian, German or Japanese topping – I was partial to the German one. The Kurobuta went down well with the Great White Beer by the New Zealand-based Mac’s Brewery. New additions to the A La Carte menu include (clockwise from bottom rightt) Truffle Fries (S$5.80), Kurobuta Pork Roll (S$8.80), Man’s Jumbo Special (S$14.80), and Lady’s Secret Delight (S$9.80). The restaurant also serves up delectable side dishes such as Cheeky Spicy Wings and Premium Squid Balls. Japan’s number one online shopping mall Rakuten celebrates Singapore launch with three-day public extravaganza at Ngee Ann City Civic Plaza – from 28-30 March 2014, 11am – 10pm. Admission Free. Members of the public can experience the best of Rakuten’s products – in food, fashion, beauty and more. The e-commerce giant is bringing together the best of its Japanese and local merchants’ products in an experiential showcase at Ngee Ann City Civic Plaza during those three days. Kuriya Fish Market’s chef will be guiding local celebrities through a different Japanese-themed culinary demonstration each day. Here are some cheerful cupcakes to light up your day. Take your pick of favourite vibes from these cheerful cupcakes. Photo taken with an Olympus E-450 with Zuiko Digital 14-42mm f/3.5-5.6 kit lens. Photo credit: John Tan. Got a box of these cheery cupcakes during the launch of the BlackBerry Q5 smartphone in Singapore some 2 weeks back. Have been saving this snapshot to cheer up the day. One of the things I love about Hari Raya is eating the delicious cookies that Muslim friends and colleagues share when the festival approaches. They are tasty and make delectable snacks suitable for all occasions. Rows and rows of Hari Raya cookies on sale at the Ramadan Night Bazaar. Both photos taken with a Nikon D600 with AF-S NIKKOR 24-120mm f/4G ED VR lens. Photo credit: John Tan. You can also buy them at shops and the Ramadan Night Bazaar. If you’re a baker or feeling adventurous, you could also try baking some yourself! After eight days of intensive voting and over 2.5 million votes, Singapore has chosen Ang Kiam Meng from Jumbo Seafood (319,922 votes), Mdm Foo Kui Lian from Tian Tian Chicken Rice (318,151 votes), and Mr Ryan Koh from 328 Katong Laksa (316,611 votes) as their most popular hawkers to challenge Gordon Ramsay at the SingTel Hawker Heroes Challenge. More than 1,000 members of the public were at Newton Food Centre to taste and vote for their preferred version of the three dishes. Overall, the Singapore hawker heroes edged-out Chef Ramsay in the live poll by 6% of the total vote. In terms of individual dishes, Ramsay’s version of the Chilli Crab beat that of Jumbo Seafood by 5%; while he lost to both Tian Tian Chicken Rice (by 6%) and 328 Katong Laksa (19%) for the other other two dishes. The three will now prepare for a mouth-watering culinary cook-off against Michelin-starred heavyweight Gordon Ramsay in the SingTel Hawker Heroes cook-off. Top 3 SingTel Hawker Heroes. Image from SingTel. On 5 and 6 July, Chef Ramsay will spend time with each of the three hawkers to learn their signature dishes: chicken rice, chilli crab and laksa. He will then put his own unique spin on these dishes at the final showdown event held at Newton Food Centre on Sunday, 7 July. The event will be open to members of the public, who will be able to sample the dishes prepared by the local hawkers and Chef Ramsay and vote for their preferred version.